We all want to be the best parent we can and it’s easier when we know some of the common parenting pitfalls to avoid. When our kids are small, we have plenty of opportunities to chat with other parents and share our experiences and lessons learned. Unfortunately, as our children become teens and twenty-somethings those opportunities dwindle. Judy Davis and Sandy Fowler chat with Sheryl Gould about 3 of the common mistakes we make when parenting teens. This week’s Mighty Parenting podcast gives parents a heads up so we can avoid these mistakes and make our parenting journey a better one. 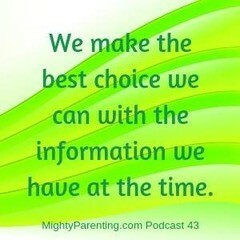 We make the best choice we can with the information we have at the time. This generation of parents is harder on ourselves than past generations. We think we’re alone and the only ones facing our challenges and struggles. We need to give ourselves permission to make mistakes—even the big ones. We aren’t 100% responsible for our kids’ lives; our kids have choices too. We need to hand our kids’ lives back to them. The more we push, the more they resist and it chokes all the joy out. When our kids become teens, our role has to change. Parenting pitfall: fortune telling. We anticipate the future and worry about messing it up. This creates fear then we react based on the fearful thoughts. We react out of the beliefs we have from when we were raised. Be honest about how you are making this all about you. Parenting pitfall: the need to fix everything. We want to help our kids and often do this by trying to fix things for them. The message this sends our child is that we don’t think they have what it takes to handle their own problems. Instead of fixing or telling, shift to coaching. Ask “What do you think about that?” Then talk them through problem solving. Help them believe they have it inside to solve this. Create an environment for them to succeed. Show them you believe in them, you have the confidence they can do it and you’ll be there to catch them if they need it (but that doesn’t mean taking away the consequences of their choices). Pushing and telling them what to do can harm your relationship. • What do you want to do? What do you think about that? Remember the 5 to 1 rule: for every negative, kids need 5 positives. Sheryl Gould has been coaching moms for over 15 years. 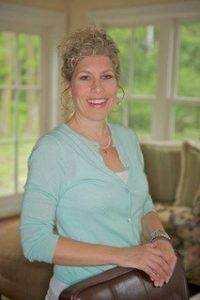 She is a Parenting Expert, author of the upcoming book, “You’re Not Crazy, You’re Not A Bad Parent and No Your Teen Really Doesn’t Hate You” and the Founder of Moms of Tweens, a national organization that has grown to over 13,000 in the last two years. Sheryl’s mission for Moms of Tweens and Teens is to provide moms in every city nationwide, with a non-judgmental and compassionate place to share the struggles and triumphs of raising teens and tweens. She loves connecting with moms through her weekly MOTTS groups, public speaking, writing, and leading interactive parenting workshops.